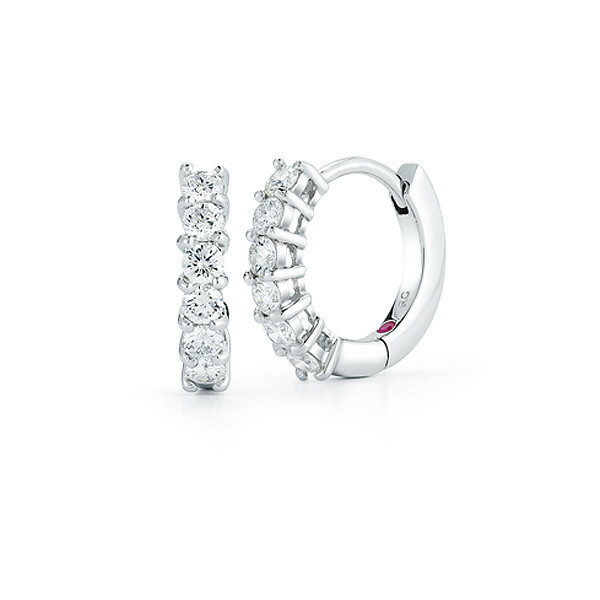 These elegant earrings are part of the Perfect Diamond Hoop collection from Roberto Coin. Crafted in 18kt white gold, a single line of prong-set gemstones add a luxurious touch to the huggie style. These Roberto Coin earrings sparkle and shine, and are sure to add a glamorous touch to your wardrobe!